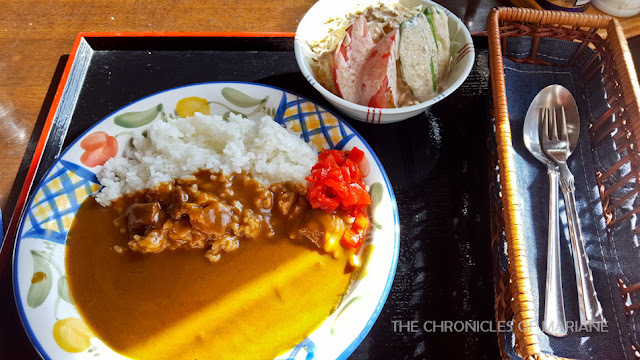 I am not that fond of big cities, I dislike being in crowded places and so even though I immensely enjoyed my three-day stay in Tokyo, I still craved the rural scenery. I did three day-trips that were accessible from the city, and first of which was in Nikko, a location known for its UNESCO World Heritage status and amazing natural scenery. As to why this post’s title is an epic fail will be further explained in this post, but as a heads up, this letdown is all thanks to me. 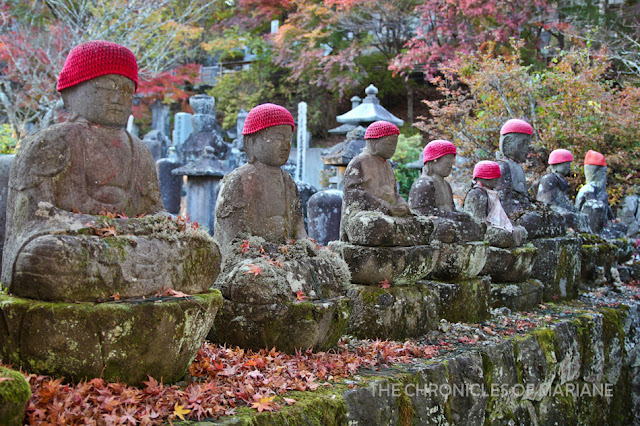 Located in Tochigi Prefecture, the town of Nikko is widely known for its extravagant shrines and temples, being the resting place for the Tokugawa shoguns. 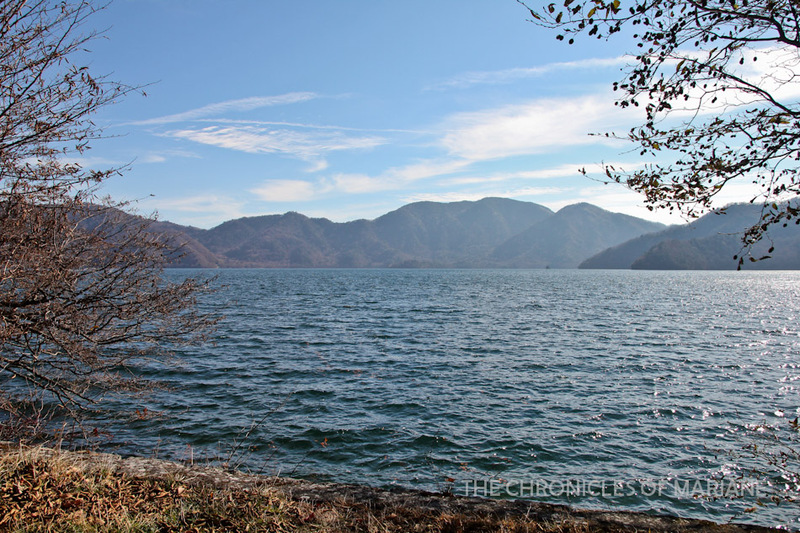 There is also the Nikko National Park where one can wander around picturesque vistas featuring lakes, waterfalls and hot springs (onsen). From Tokyo, train is the only option with Tobu and JR as providers. The trip takes more or less two hours, and depending on whether you have a discount pass, the fare varies. 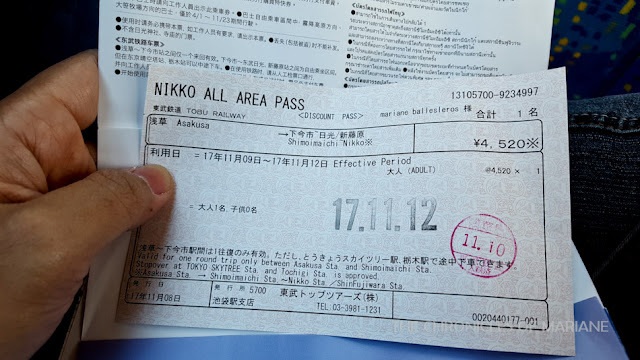 For non-JR pass holders like myself, the Nikko All Area Pass from Tobu is a good alternative. This is available through Tobu Tourist Centers in Asakusa, Ikebukuro and Shinjuku for 4,520 JPY. 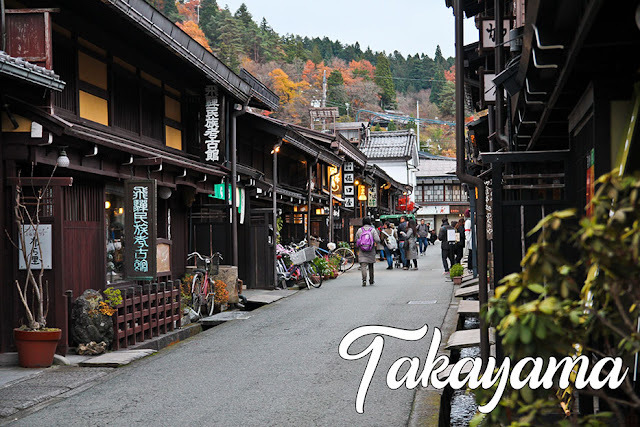 It covers the round-trip ticket from Tobu Asakusa Station up to Tobu Nikko Station, as well as unlimited bus access for up to four days around Nikko and Kinugawa (where the falls and lakes are located). This is a nice deal considering that the normal train fare to Nikko runs at about 2,000 one way and the bus pass can go up to 2,500 JPY. With JR, you can take the train to Ueno then alight at Utsunomiya to reconnect to Nikko, or take the train from Shinjuku until Kurihashi then transfer to a Tobu-train to Nikko. 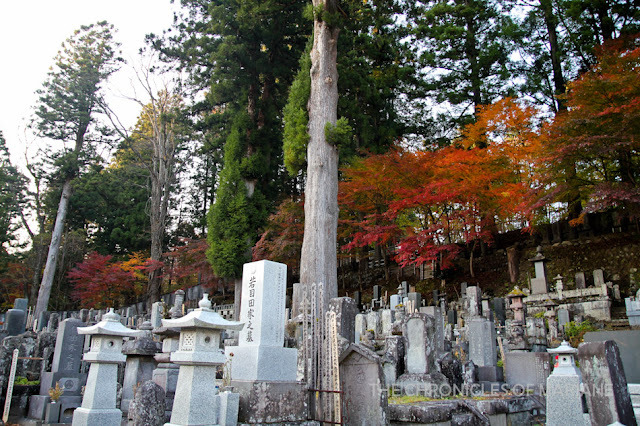 There’s also the JR Tobu Nikko Kinugawa free pass available for both foreigners and locals that offers this route as well as unlimited buses within the area. If you are only interested to see the shrines and temples located at central Nikko, the best deal is the World Heritage Tour ticket valid for 1 day for 500 JPY. 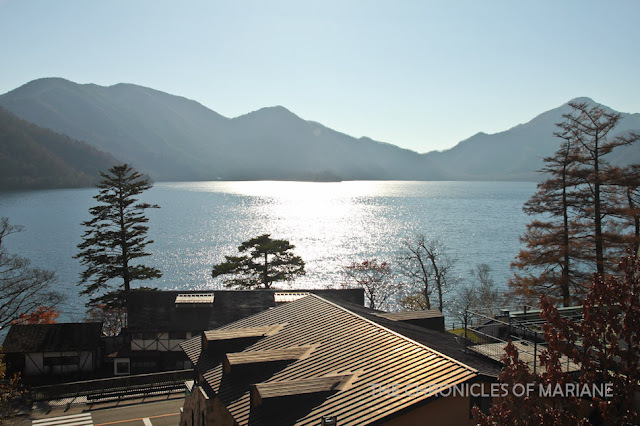 There are also more passes available depending on the destinations you would like to go to, for more information, please check out Tobu’s website. You can opt to pay the single-pay fare should you not want to buy any of these discount tickets. 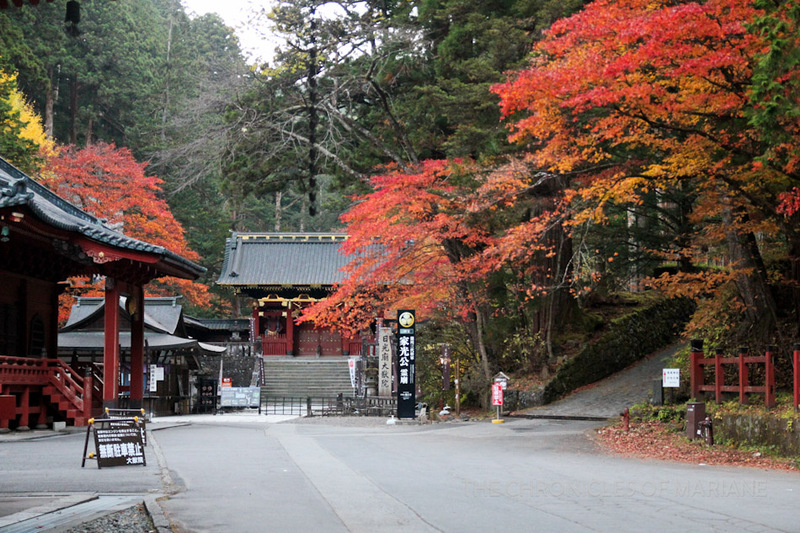 From the train station, there are various bus routes that run to give access to Nikko’s important spots. 2A for Yumoto-onsen, 2B for Chuzenjionsen, 2C is the World Heritage Tour Bus giving access to the shrines and temples and 3 for EDO Wonderland. There are maps and information pamphlets with timetables available from the station so get one before you depart. I was up at 4.30 AM, something that I can only achieve when I am traveling. I hoped to catch the early trip from Asakusa station leaving at 6.30 AM and I needed 45 minutes from Shimo-Akatsuka station since they are located at opposite ends. I purchased the Nikko All Area Pass went I first went to Asakusa the day before, so I just had to show it to the station staff and I was off to go. It was a smooth trip, and even though crowded, I was still able to secure a seat for the entire trip. 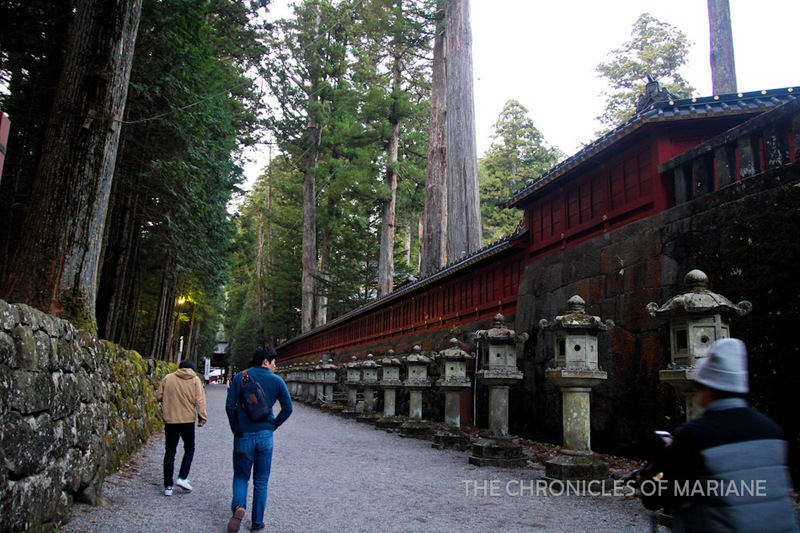 My plan was to explore Nikko National Park in the morning and save the temples for last as they were closer to the station anyway. I also wanted to squeeze in some hiking opportunities if possible. This town is known for its wonderful views during autumn so since I was in the area, I had to take advantage. 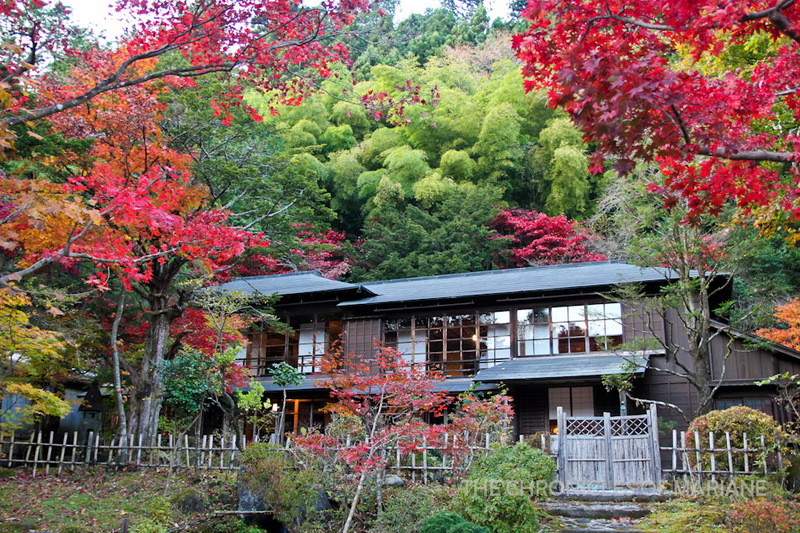 There are also popular onsens which makes this a popular vacation spot for the Japanese. I decided to first explore the mountainous region of Oku-Nikko, the mountainous area of Nikko that gets its fair share of the fame during autumn for its beautiful foliage colors, majestic scenery and natural onsens. 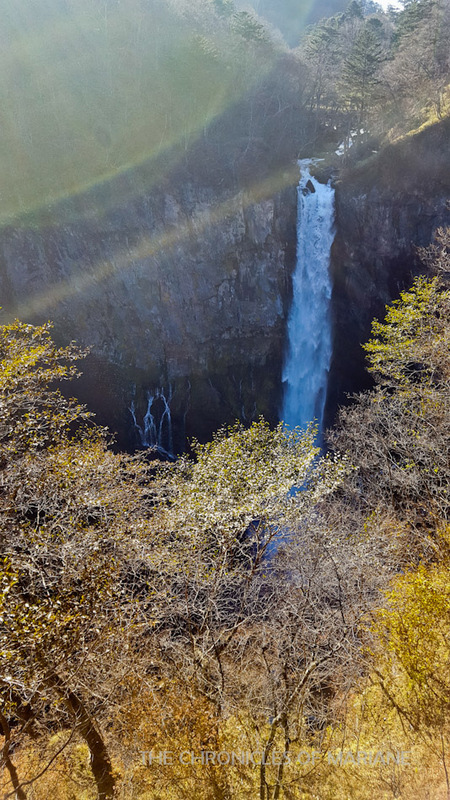 Ryuzu Falls was first on my agenda since it took the longest travel time. The name literally translates "dragon head" basing from the shape of the waterfalls that resemble this shape. This is a popular foliage spot with all the trees surrounding the falls. 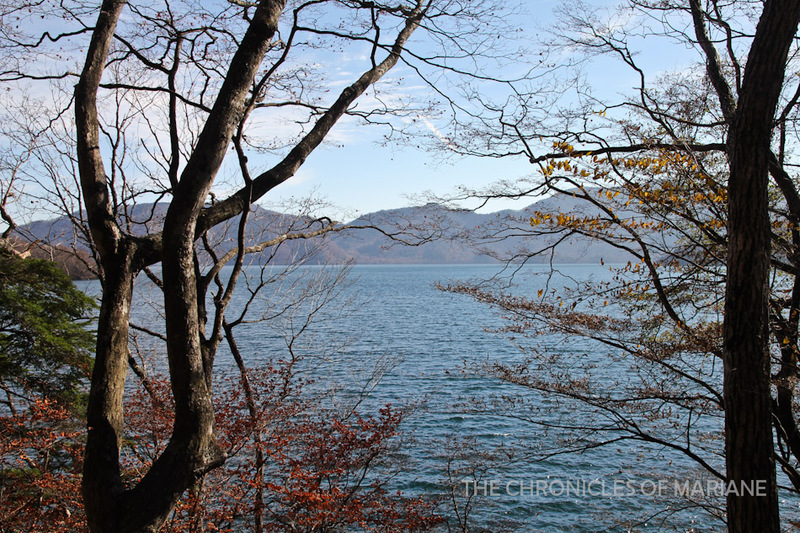 Unfortunately, even though I went here in early November, the trees were bare and looked dreary. It was still a beautiful sight nevertheless. 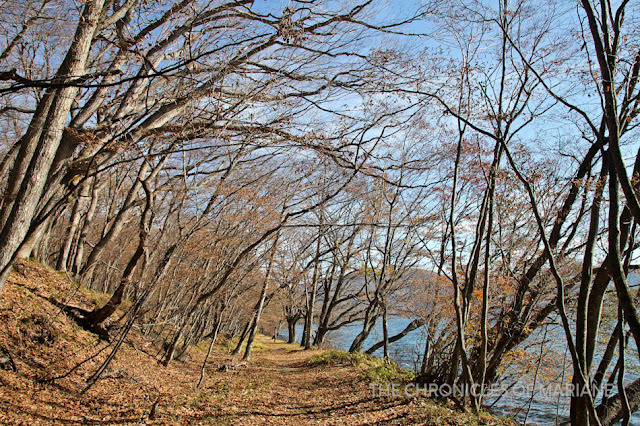 The walk was truly enjoyable because of the pleasant weather. Even though it was bit cold at around 8 degrees, the sun was shining bright and there were no signs of rain. The direction was straightforward, since there was only one road, I just had to head on straight until I reached my destination. If I had any complaint though, it would be because the walk took me an hour or so (even though I was told I needed only half an hour), excluding my lunch break, I didn’t notice I took that much time since I was busy relishing the scenery. It was not until two in the afternoon when I finally arrived at Kegon Falls, the 100-meter waterfall that is also regarded as one of the top three best falls in the country alongside Fukuroda Falls in Ibaraki and Nachi Falls in Wakayama. 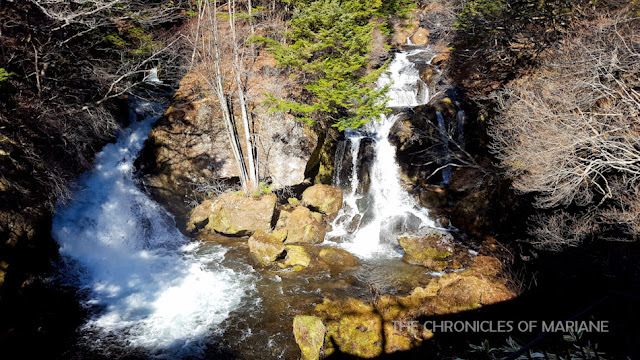 This waterfall serves as exit for the waters coming from Lake Chuzenji, so the water surge is powerful in any season, except during winter where it is said that the falls can freeze solid. I was feeling drowsy to the point where I wanted to sleep in the public benches (this is one of my talents). 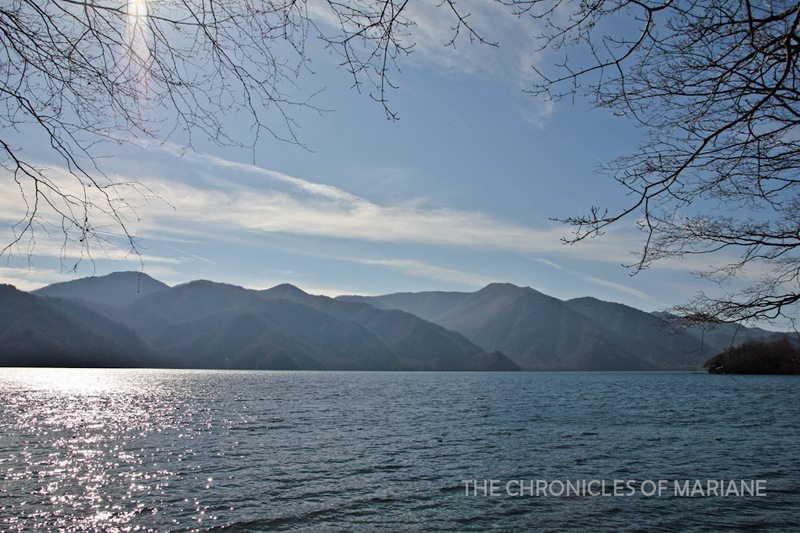 This is most likely due to my early wake-up call and the effect of the relaxing stroll along the lake. In my head, I would have wanted to see more views of the falls, since we only have limited view from the free observation platform, but my body was unwilling. The paid platform would have taken me to the base of the waterfall for a 500-yen fee, as well as give me better photo opportunities. 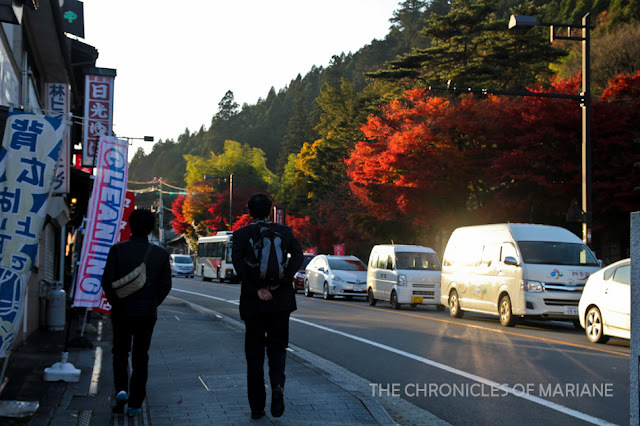 At this point, I just hurried to the nearest bus stop and luckily, the bus going to Nikko center arrived just as I did. If I had planned this better and had much more time, I would have also gone to the Akechidaira Observatory, wherein one could get an amazing bird’s eye view of both Lake Chuzenji and Kegon Waterfall! 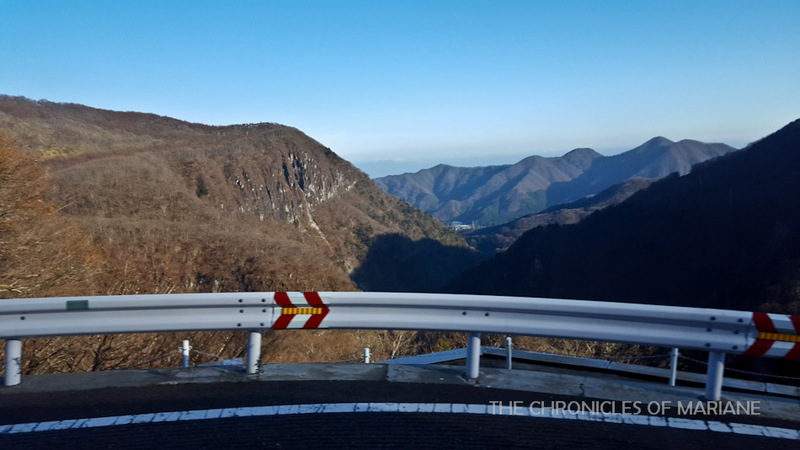 Most buses pass by the Irohazaka Winding Road, and because of its zigzagging route, I wasn’t able to get a successful power nap, so I just did my best to get some z’s while still trying to get more of the scenic views of Nikko. I heard some locals talking about how this was also the same view that they saw at the Akechidaira Observatory, I felt relieved that I didn’t miss much. I was finally able to doze off. I woke up when I felt the soft sunlight in my face, I looked around and Mr. Sun is already preparing to set. I panicked for a bit and hurriedly checked my watch for the time which read 3:30. I thought I still had enough time. I was planning to go to Toshogu, but there was a long traffic build-up and we were stuck at the same location for about 15 minutes or so. I just opted to alight at the nearest bus stop, even though the driver warned me that Toshogu was still quite far from where we were (I wonder how he knew where I planned to go), he just waved me off with a “Ki wo tsuketekudasai! / Take care!” Hayy. Told you the Japanese are so nice! I was still in a daze trying to get my bearings, was I right to get off the bus? I figured then that I probably still had enough time to walk around and observe my surroundings before I proceed to my next destination. As I went to Family Mart to buy some snacks, I noticed a map detailing different signs and eateries around this area. I got curious and inquired about it to the staff who gladly helped despite being busy handling all the customers by herself. 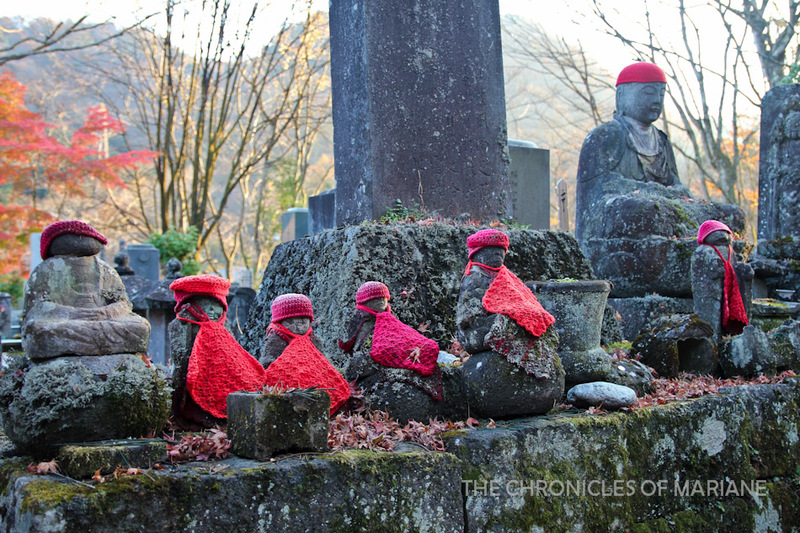 She specifically noted an area called “Kanmangafuchi” and told me to look out for the jizo statues, specifically 70 statues who are said to be the guardians of the river and the deceased. As I ventured on, I realized the map was not that much of a help to me. The entire area is residential and so it was quite difficult to locate where I was and where I needed to go. At this point, I noticed an area with wonderful foliage. 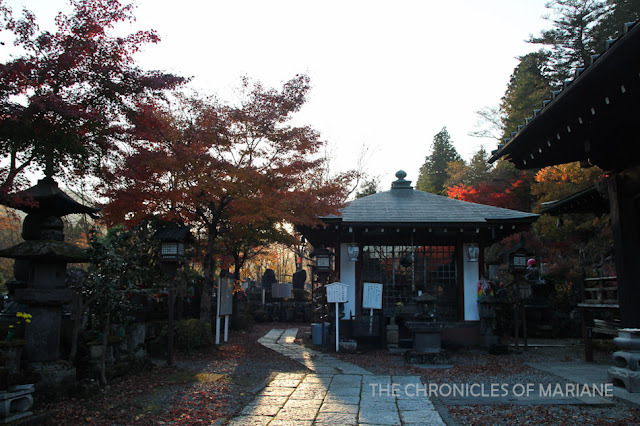 This was the first time I finally saw autumn colors here in Japan, since in my first three days in Tokyo, everything was still relatively green or yellow-ish. I went inside the premises, checking if there were signs to ‘Keep out’ or ‘Do not enter’. 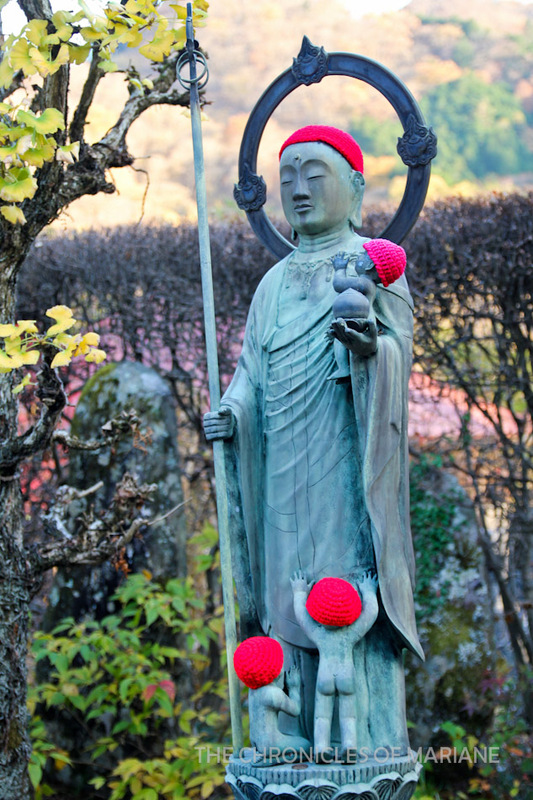 I saw jizo statues alright, and from a far, I can also hear the strong rush of the water flowing in the nearby river, birds chirping and leaves rustling. I felt calm. 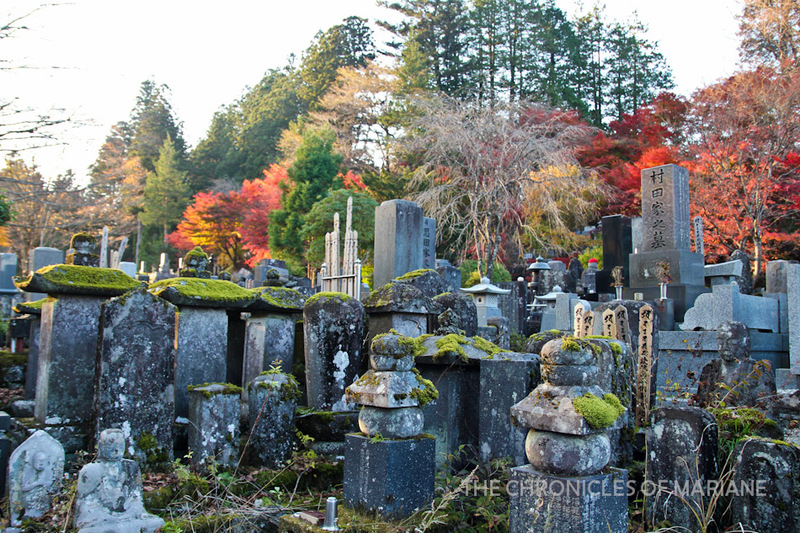 It was an odd yet a reassuring sensation, which I only usually get whenever I am in a cemetery. And turns out, I was indeed in a cemetery. 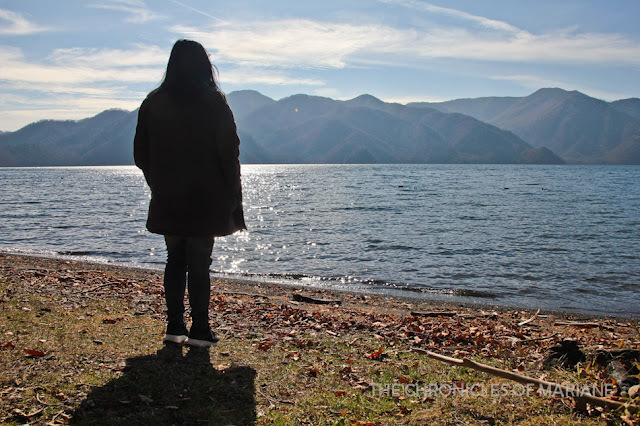 I was so engrossed by the nature around me that I failed to notice the obvious (do you feel this way sometimes too?) The serenity felt therapeutic, and so I decided to stick around for a while and appreciate this moment. For the oddest reason, this was the highlight of this exploration at Nikko. I wonder how much time passed when I noticed that it was already getting dark. 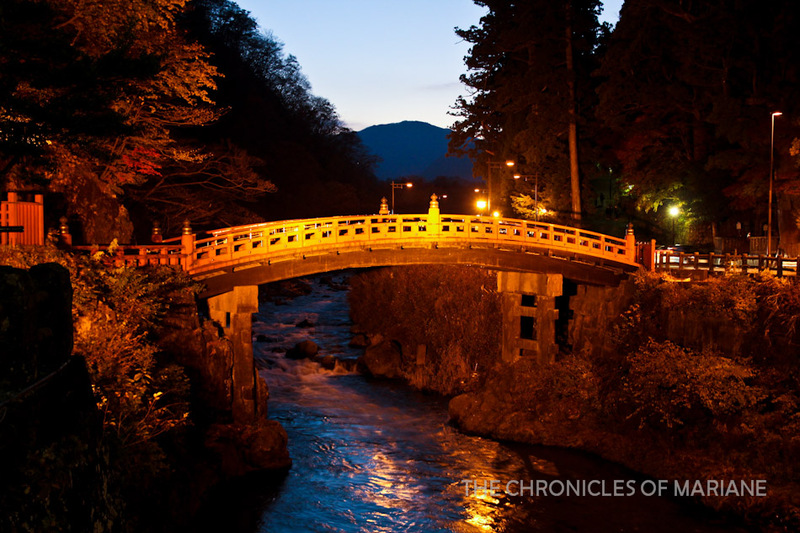 And I still have yet to go to Nikko’s best attraction! I hurriedly made my way back to the main road, not minding if it was Kanmagafuchi that I actually went to or not. While looking for someone who can help with directions, my attention was snatched by this promising structure called the Tamozawa Villa, an imperial villa encompassing the styles from Edo, Meiji and Taisho eras that served as a summer residence of Emperor Taisho during his visits to Nikko. I also learned that nearby the cemetery was a garden, the Nikko Botanical Garden to be specific. It would have been interesting to see, again, if I had much more time. A lovely couple directed me to the right direction, mentioning it will take me 15 minutes by foot. They left with a friendly reminder “You must hurry, they are already closing by 4PM! Good luck!” With a combination of running and power walking, I managed to get there within seven minutes. It didn’t change the fact however, that it was already past 4 o’clock. It was already dark around the vicinity even though the pictures might not show it, and there were no street lamps! I decided to still try and look around because some parts of the temple complex were still open. Nikko is almost synonymous for its shrines and temples, in my personal experience, I have seen it referred to having the most meticulous and flamboyant designs in various museums around the country. This 424-hectare complex has gained its World Heritage Site status in 1999 and nine out of its 103 buildings have been classified as a National Treasure. 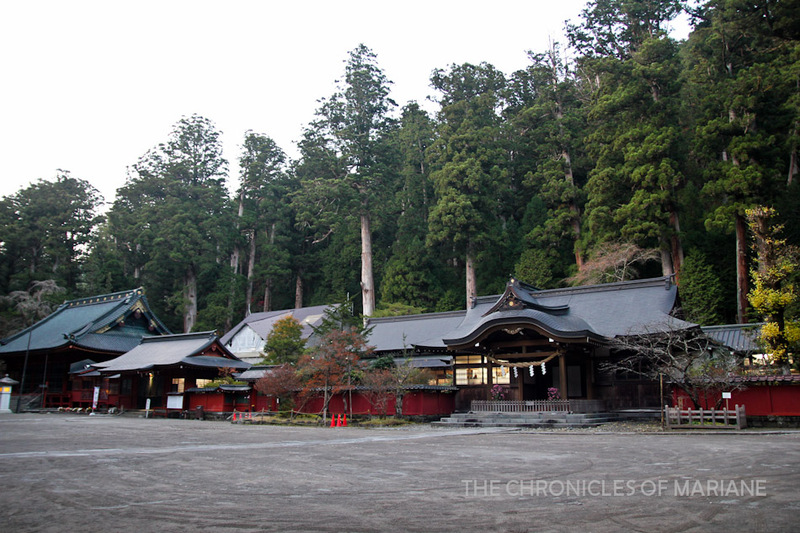 There is also Taiyuin where Iemitsu Tokugawa, Eiyasu’s grandson as well as the brain behind Toshogu, is enshrined. 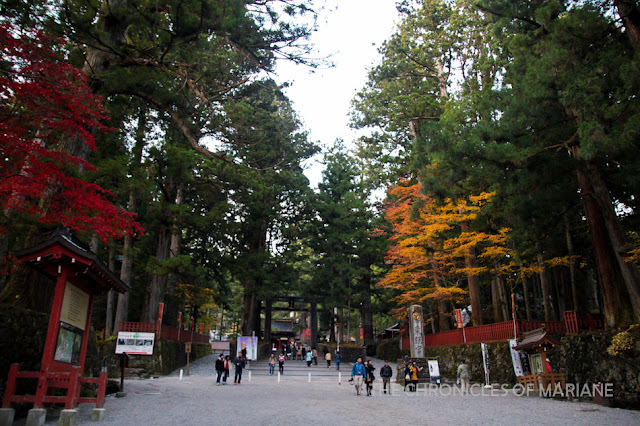 Another prominent spot is the Futara-san Shrine which is built to honor the deities of Nikko’s three holiest mountains: Mt. 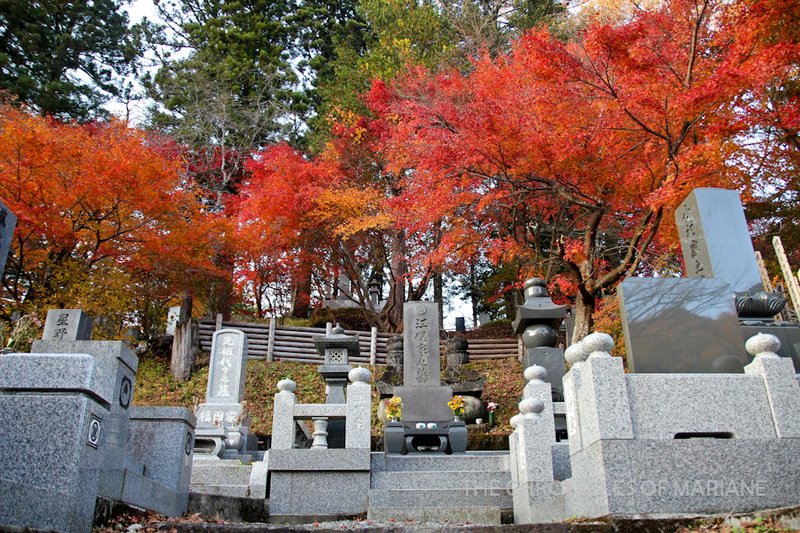 Nantai, Mt. Taro and Mt. Nyoho. I was able to make it walk through these buildings but all of them have their door closed and we can only admire the structures from afar. By around 5PM, this area was almost pitch black and luckily, there was a bus that stopped nearby so I decided to hop on and take a quick looksee at Shinkyo Bridge, the prominent red bridge that bridges the town of Nikko to its shrines and temples. I am just not sure if it is possible to cross this bridge now since I didn’t see anyone try it. I thought the bridge made the river and the mountain in the background look more dramatic and prominent. Frankly, I have barely scratched the surface on this trip. Obviously, if you are planning to see more, like I hoped to do, reserving one whole day for Nikko is not enough. But if need be, you need to pick if you’d rather focus at Oku-Nikko or take your time around the World Heritage sites and shrines. I would suggest spending sparing two or three days from your schedule so you could discover more of what it has to offer such as its famous onsens, parks, hiking trails, and even a theme park called the Edo Wonderland Nikko Edomura. 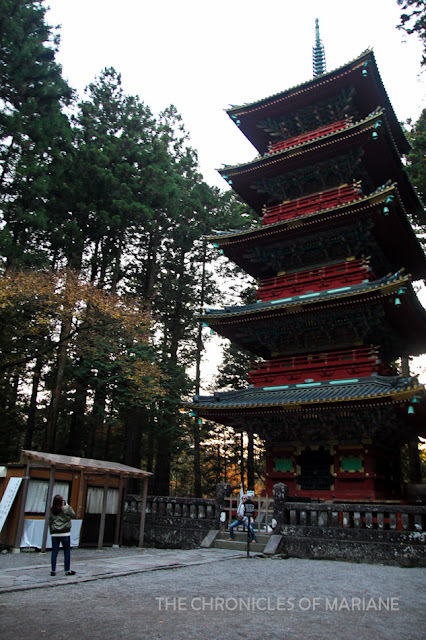 There’s also the famous Nikko Toshogu Annual Grand Spring Festival happening on the 17th and 18th of May that is something to look forward to. Sometimes the spontaneous moments are the most memorable! You didn't attempt to go back to Nikko the rest of the days you were in Japan? Hey, thanks for sharing your travel info and pics of Okuniko. I'm thinking of going there this year in mid November, in hope there's still autumn leaves around. Seems like it would not be a great idea. Nikko itself seems promising though.